Manufacturer and Supplier of a wide range of products which include Aluminium Doors and Window such as Arch Glazing Door and Window, Aluminium Openable Window, Slide Multi Raven Door, Aluminium Sliding Doors and Aluminium Entrance Doors. 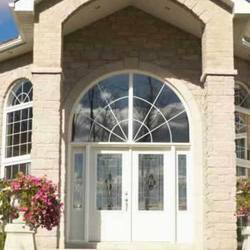 Aluminium Entrance Doors come with superior finish quality as well as with advanced equipment support that makes these find high usage as entrance doors. Providing for a special feel, these match up with the styles of homes and denote superior tastes. Further, these also meet the demands of high security standards as well as t the same time also support the demands of offering high savings on energy as these come with superior thermal insulation values. Consistent innovation, coupled with an alert understanding of customer's needs & demands, makes us the most renowned supplier of Arch Glazing Door and Window. 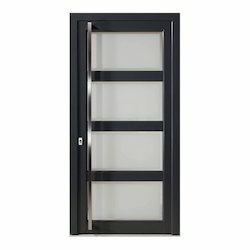 Enhances the look of office or residence or any location wherever it is installed, offered glazing door is manufactured using quality approved aluminium and sophisticated technology. We assure that this glazing door is checked against different quality measures so as to ensure its quality. Slide Multi Raven Door of tremendous size can be opened and closed with the touch of a finger. One single operating handle activates a special hardware system that first "lifts" the sliding door from a weather tight position than "slides" with ease on rollers and tracks at the head and sill. 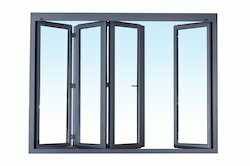 Our team of dedicated professionals offers Aluminium Sliding Doors of fine quality. These doors are installed in flats, bungalows and various other places to modernize the look of the place. It is available with durable framing and can easily be slide over the aluminum frame available for it. They are easy to clean and are highly valued for its reliability, elegant looks and long life. Additionally, it is being offered in the reasonable rates. 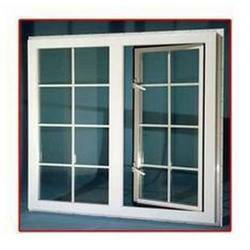 We are providing Aluminium Openable Window in various designs such as inward openable, outward openable and sliding windows. Manufactured using quality raw material, these aluminium windows can withstand extreme weather conditions.